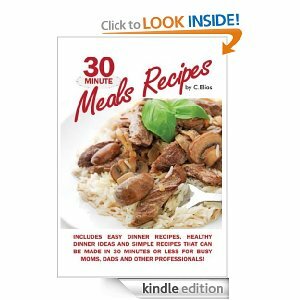 Beth Ann & Jessica's Helpful Savings: Amazon: Free Kindle Book: "30 Minute Meals, Recipes..."
Amazon: Free Kindle Book: "30 Minute Meals, Recipes..."
"30 Minute Meals Recipes includes Easy Dinner Recipes, Healthy Dinner Ideas and Simple Recipes that can be made in 30 Minutes or Less for Busy Moms, Dads & Other Professionals! [Kindle Edition]"
Thanks for posting this deal, Woot! Retail was $12.95.